KIEV, April 1. /TASS/. The Ukrainian Central Election Commission has issued the results of the vote in the Ukrainian presidential election after counting 90.11% of the ballot papers. Showman and head of the Servant of the People political party Vladimir Zelensky is well ahead of his rivals with 30.26% of the vote (he had 30.40% with 80% of ballots counted). Incumbent President Pyotr Poroshenko is trailing behind with 15.99% (against 16.03% with 80% of the ballots counted). The leader the Batkivshchyna party, Yulia Tymoshenko, is third among the trio with 13.36% of the vote (against 13.24%). Leader of the Opposition Platform – for Life Yuri Boyko (11.53%) and head of the Civil Position party Anatoly Gritsenko (7.00%) came in fourth and fifth, respectively. The first round of Ukraine’s presidential election was held on Sunday, March 31. The country’s Central Election Commission earlier said that none of the candidates had been able to secure the majority of votes in the first round. The runoff is scheduled for April 21. Hey Buddy!, I found this information for you: "Showman Zelensky well ahead of rivals with 90% of ballots counted in Ukraine election". 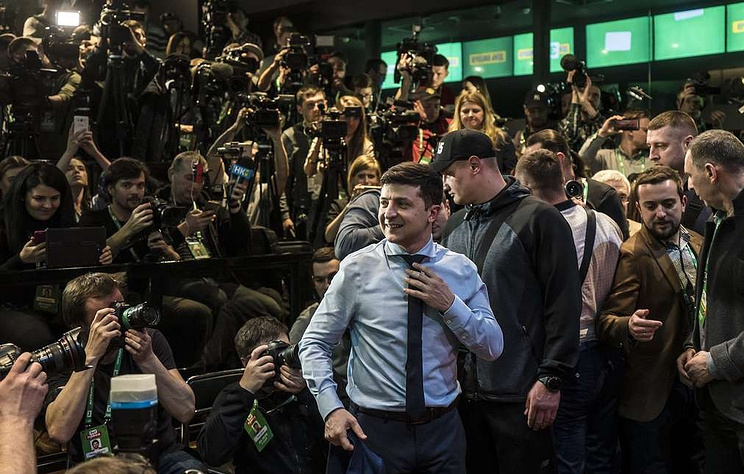 Here is the website link: https://russophile.org/showman-zelensky-well-ahead-of-rivals-with-90-of-ballots-counted-in-ukraine-election/. Thank you.